Our staff got together and discussed some of our favorite things to decorate with for the holidays. 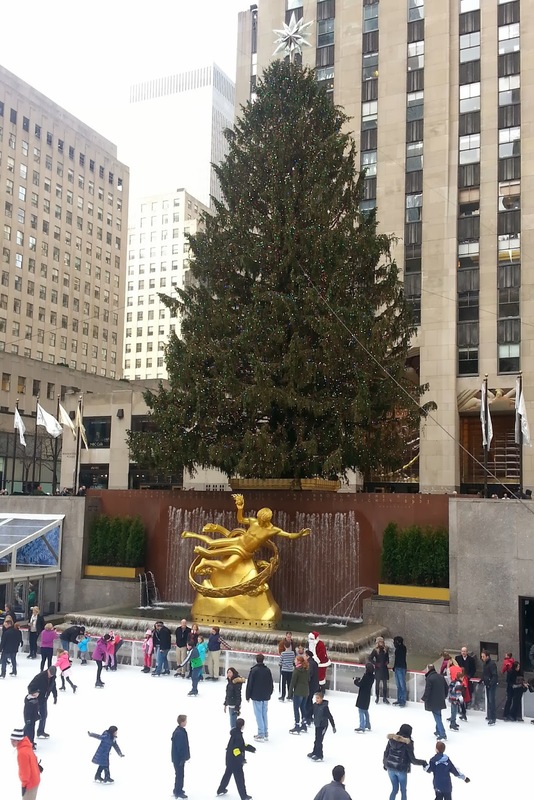 We hope you and yours have a wonderful holiday season and a very happy new year! 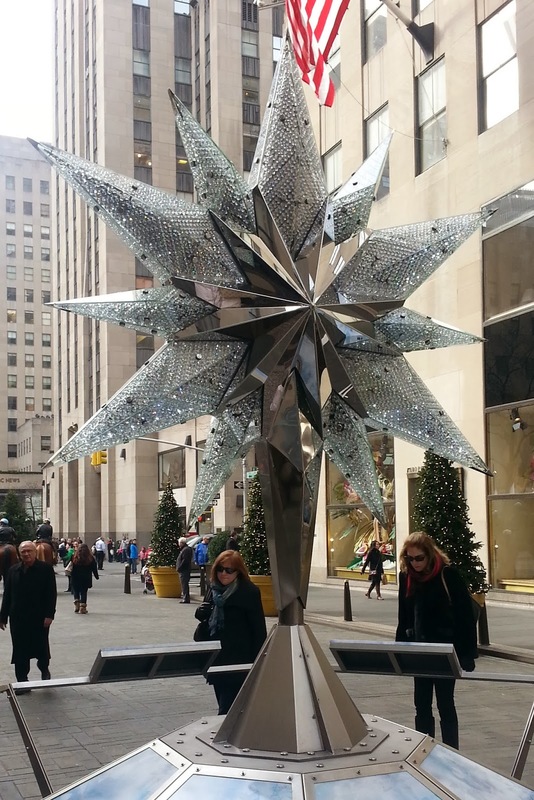 Susan - Lights are my favorite holiday decoration and I love New York City at holiday time. The Rockefeller Tree feels like it could light up the entire city and the star replica by Swarovski is simply amazing. Not far from the center is Cartier with their gorgeous lit panthers perched above their front door. Cindy - Stocking holders are fabulous decor with a purpose. 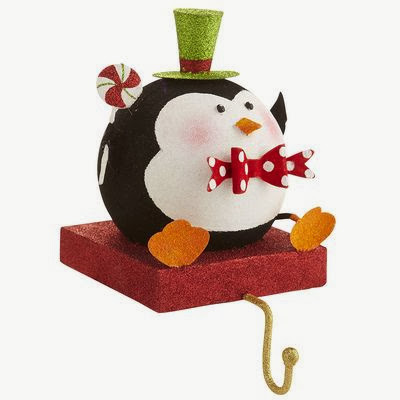 This is an adorable one from Pier 1 Imports. 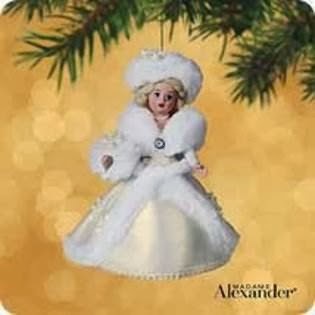 Kristin - I collect these Madame Alexander doll ornaments each year. 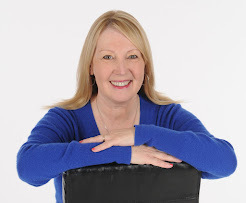 This is the one I am hoping for in 2013. 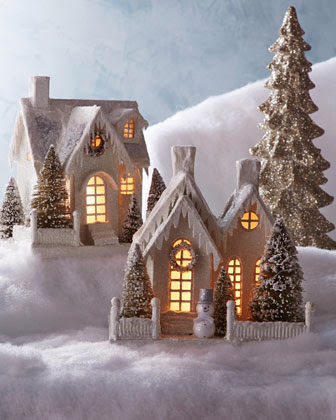 Teresa - I love the glittery look that fresh fallen snow gives everything which is why I love these Bethany Lowe Ivory Glitter Cottages. 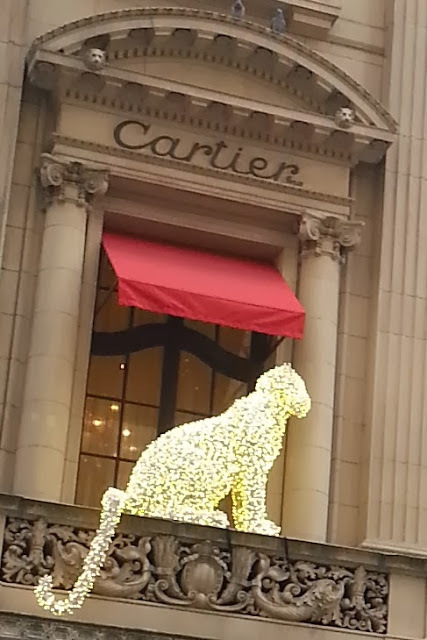 Katy - I am a fan of Santas and reindeer, but I was feeling overwhelmed with too much of the same decor this year. 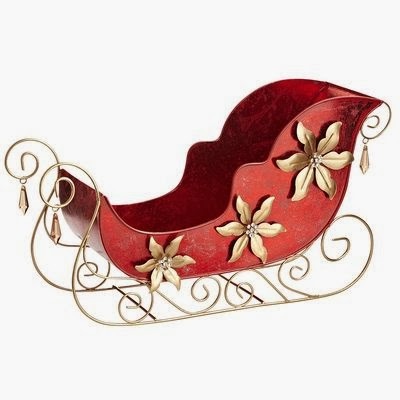 That is when I saw this sleigh and knew it would be a perfect addition.